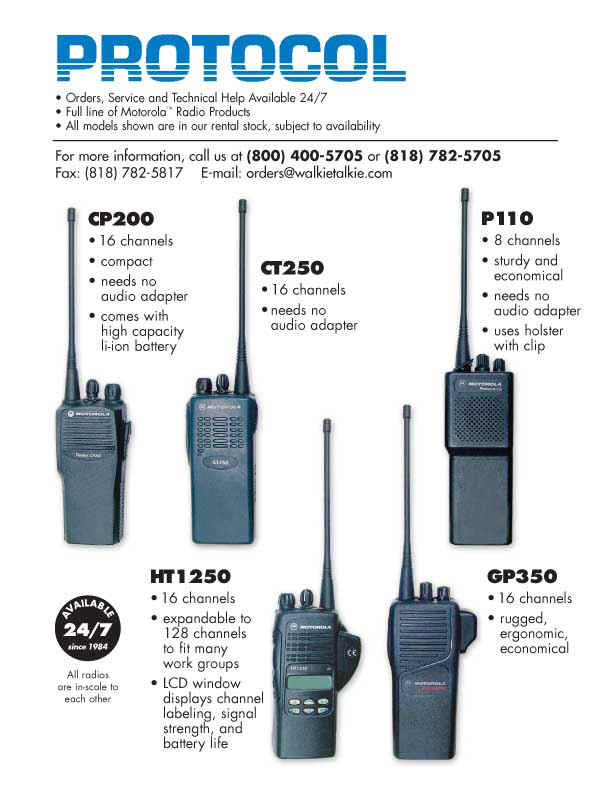 We rent and service walkie-talkies. Our office is located in the San Fernando Valley convenient to the 101 and 405 freeways. The address is 16844 Saticoy St., Van Nuys, Ca. 91406. We are open Monday through Friday from 8:30 A.M. to 5 P.M. we are also available for on-call by phone 24 hours a day, 7 days a week. We have low prices and great service. We rent thousands of rugged professional units with 8 to 128 channels. 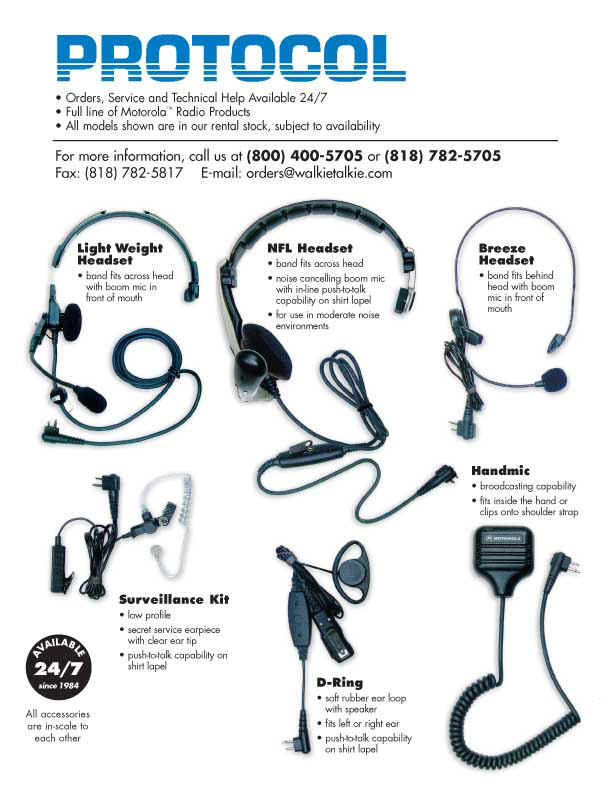 We program, prep and test all equipment before it goes out the door, and we have thousands of portable radios, batteries, chargers, headsets, handmics, curled cords and other audio accessories. We also provide repeaters, base stations, and technical and repair services. Our custom database software provides real-time tracking of all equipment and frequencies. We can always tell you what equipment you have, what your orders are, and what your rental costs will be. Call us!